Ray J definitely has his faults, but he just might be the friend you want when in a crisis. 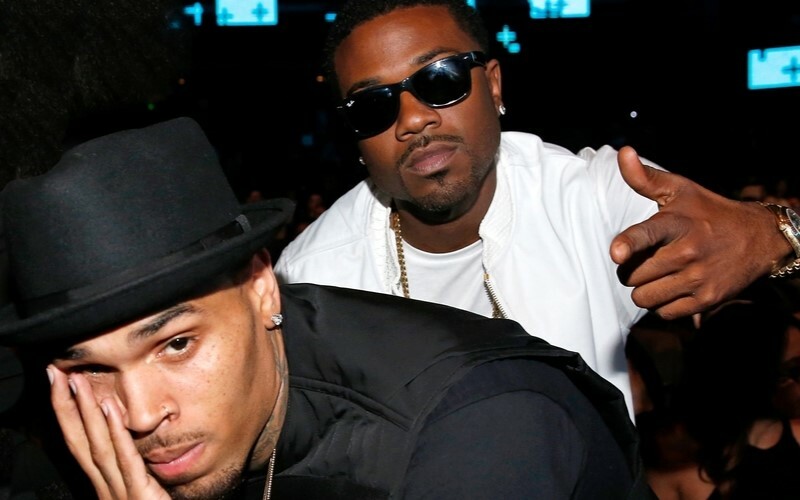 The Love & Hip Hop Hollywood star is defending Chris Brown after the singer’s recent assault arrest. Beauty queen Baylee Curran accused Brown of pulling a gun on her. Ray was present during the alleged incident and he is firmly on Brown’s side. He spoke to Entertainment Tonight to share his thoughts on the situation and Brown’s arrest. Though it seems he has information on what really went down, he tells ET he can’t confirm or deny Curran’s claims. The reality star was also reportedly handcuffed and questioned by the police after Curran alerted cops early Tuesday morning (Aug. 30). He was let go, but TMZ reported his car was seized and he had to use an Uber to get home. Ray was one of the first to defend Brown. As LAPD and SWAT surrounded Brown’s house, Ray took to Instagram to slam police and reveal how “upset” he was over the situation. Brown has yet to release an official statement. He’s scheduled to appear in court Sept. 20. 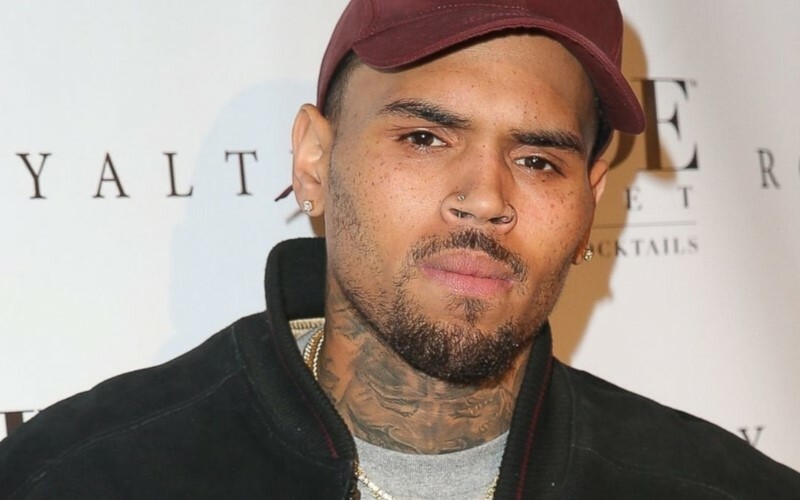 After an intense Tuesday with LAPD, Chris Brown is out of jail. The singer was arrested for suspicion of assault with a deadly weapon. He was released early Wednesday morning (Aug. 31.) after posting $250,000 bail. His lawyer Mark Geragos confirmed his release with a tweet. Brown also reposted the tweet via his Instagram account. The hip hop star was also subjected to a drug test while in custody. Though the results are unknown, during his standoff with police, he reportedly threw a duffel bag out the window which contained drugs. However, he wasn’t arrested for drug possession. Brown was arrested after a woman named Baylee Curran accused him of pulling a gun on her. According to her, the incident was ignited after she admired a piece of jewelry and refused to sign a non-disclosure agreement. Some reports claim Brown and his friends thought she was trying to steal the jewelry. Interestingly, Curran was suspected of grand larceny in 2013. She allegedly stole a $1,000 Louis Vuitton purse while in a hotel lobby. As security chased her down the street, she dropped the purse but stole some of the contents inside. Curran says her friend was the thief, not her. However, the victim still filed a restraining order against Curran. Brown’s court date is scheduled for September 20th. 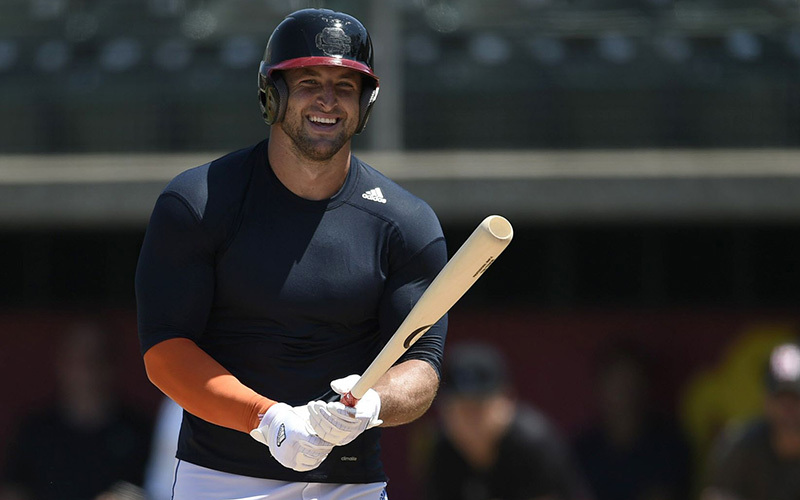 Tuesday (Aug. 30) marked the day that Tim Tebow got the opportunity to prove to 40 Major League Baseball scouts and 50 members of the media that he has what it takes to play professional baseball. The result? A “complete waste of time,” according to one American League scout. Tebow was put through the usual drills — running, throwing, catching. You know, boring baseball stuff. And while he was at least somewhat impressive in his 60 yard dash, everything else was pretty ho-hum. His throws were weak, according to certain scouts, and he didn’t have the best tracking ability in the outfield despite catching all the popups. Where he really failed to impress, though, was, not surprisingly, the batter’s box. Prior to yesterday, videos had surfaced of Tebow’s swing in the batting cage where he was hitting solid line drives on a regular basis. And during his showcase, that success in batting practice continued. He knocked a few out of the park and demonstrated some impressive strength. But honestly, everyone looks good in batting practice. We can all step into a batting cage and connect more often than not. The reason? We know damn well where the ball is going to go and at what speed. So if every major league pitcher just threw a 90 mph fastball right down the middle every time, well then Tebow might have a decent shot in the majors. Unfortunately for him, they don’t. Hitting a professionally thrown pitch is one of the hardest things to do in sports, and it was proven true when Tebow stepped into the batter’s box against ex-MLB pitchers. When facing off against them, Tebow struggled with off-speed pitches, curving throws, and varying fastballs. Of the roughly 60 pitches he saw, he might’ve managed to get on base once or twice. And really, unless you are a great pitcher, hitting is one of the most important things for MLB players. Not to diminish what they do, but there are a large number of people who can catch a fly ball or make a play at first. It’s what you do in the batter’s box that really separates the big leaguers from the good baseball players. If yesterday was any indication, that means Tim Tebow doesn’t have what it takes. He says he will play in the minors or other lesser leagues in an attempt to ultimately earn a spot on a MLB roster, but after watching him perform, most are in agreement: this looked more like a publicity stunt than a MLB prospect trying out. TOM HANKS believes a gender-bending version of his film Splash will work – as long as actress JILLIAN BELL can find co-star CHANNING TATUM attractive. EMILY BLUNT has shut down talk that Hollywood actresses don’t get along. ROB KARDASHIAN is grateful to BLAC CHYNA for helping through his âdarkest timesâ. Actress KERRY WASHINGTON is developing a female-lead police TV drama under her new production deal with ABC Studios. NAYA RIVERAâs decision to get breast implants is the “best Â£6,000” sheâs ever spent. MARIAH CAREY suspects NICK CANNON puts people up to joking about her on AMERICAâS GOT TALENT.